For over 30 years our contractors have been providing the best in demolition, site clearing, and recycling. Headquartered in Plantation, FL, we are equipped for any job throughout the state of Florida. We employ only the highest caliber of specialized employees to make sure the job is done right. A demolition project can be one of the most rewarding or stressful experiences, depending on the company and team you choose. Demcon Group strives to make sure your project is a rewarding and memorable experience. Find out what serperates Demcon Group from the rest. Definitely would highly recommend Demcon for your demolition scope of work on any project of any size. 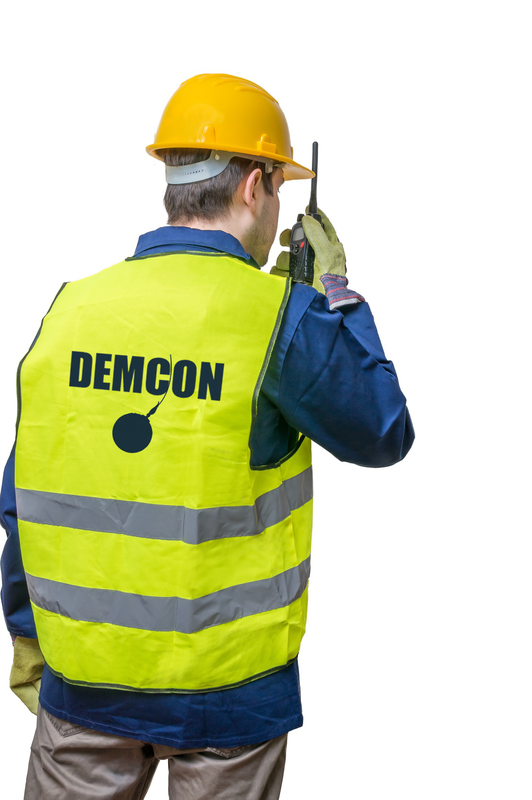 As a company Demcon Group has the vision to get the job done quickly and safely. We work with all of our clients to maximize their satisfaction and to complete the job on time. Our staff are highly trained and experienced in their fields. We ensure that our staff is current on all training and certifications. Demolition is inherently a dangerous line of work and safety is paramount. As such, all of our staff has completed the 10 hour OSHA safety course, are first aid and CPR certified and why we work with a Safety Coordinator. We also have daily job site safety meetings to ensure every job is done with the utmost amount of care and safety. Safety is always first! Proudly serving the South Florida area.